I do admire the work of artists who remain interesting as they get older, but it is a fact that many writers, poets, songwriters do their best , most compelling work in their early years. Dylan is one of these--the greatest songs , in my view, were those that combined equal elements of Surrealism, Burroughs inspired language cut ups, blues and rural south music vernaculars, and heady doses of French Symbolism by way of Rimbaud and Mallarme. This gave his stanzas a heightened, alienated feeling of sensory overload, making him principle Lyricist of the bare existential absurdity that life happens to be. No one got to the infuriating heart of the sensation that life had ceased to mean anything after those matters that "mean" the most to us--marriages, friendships, tastes, financial security, spiritual or religious certainity--were changed, destoryed or simply vanished. Dylan's writing was of the individual suddenly in the choking throes of uncertainty , batting back encroaching gloom with the kind of swinging, poetic wit that reassembles existence. It is stance, a state,an aesthetic state of being that made it possible for him to fire on all cylinders for a good run of time. Generally, the poetic quality and intensity that Dylan produced in the longs on the list I made are substantial body of work that lines up perfectly with and matches the strongest work by Eliot, Pound, WC Williams, Burroughs, Ginsberg. It is also not the kind of work you can keep doing for a life time; like Miles Davis, he had to . His mature work has quite often hits the mark and offers the long view of experience in an especially moving way. Just as often, I think he misses the mark and overwrites or is prone to hackneyed phrasing. There is much quality to the later songs, but as a body of lyrics, they are not among Dylan's greatest. Dylan is called more often than not a poet because of the unique genius of his best lyrics; I don't think he's a poet, but a songwriter with an original talent strong enough to change that particular art forever. I do understand , though, why a host of critics through the decades would consider him a poet in the first place. My list are the songs I think that justifies any sort of reputation Dylan has a poetic genius. I like most of the songs mentioned above for various reasons other than the ones on my initial 35 choices; the longs there manage an affinity for evoking the ambiguities and sharp perceptions of an acutely aware personality who is using poetic devices to achieve more abstract and suggestive effects and still manage to be wonderfully tuneful. No one else in rock and roll , really , was doing that before Dylan was. On those terms, nothing he's written is quite at the level of where he was with the songs on my list; this list consists of the body of work that substantiate Dylan's claim to genus. Really, that is awful, a dreadful presentation of atmospheric detail meant to create historical context and mood, but it trades on so many received ideas of slavery, racism,the south, et al, that the intent no longer matters. It strikes as more minstrel show than tribute. Had anyone submitted this to a serious poetry (or lyric) writing workshop, it would have been handed back to us for revision, with the advice that we rid the narrative of the creaky, questionable window dressing. "When I Paint My Masterpiece", in contrast, works wonderfully because of its lack of any messages about social justice. It works because it is a sharp, terse, vivid travelogue, vague and evocative in equal measure. 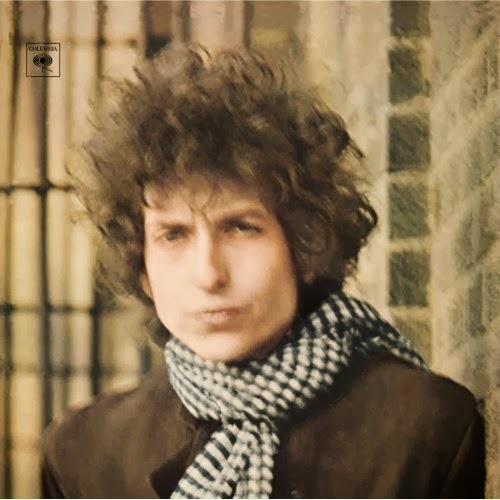 The ambiguity and absence of relevance to anything other than Dylan's need to speak off handedly about a in interesting time in the life of a particular character is what makes this song memorable. Perfectly natural language here, good and unexpected rhymes, telling use of local detail that give us color and history without sagging qualifiers to make it more "authentic", the lyrics are recollection of a trip, of places visited, of perspectives changing, a nice string of incidents in a language that sounds like a real voice telling real things, with genuine bemusement .Well, I had a feeling that the general good feeling this album conveys is that Dylan wasn't trying too hard to prove he's a genius. The record is straight forward and the language is remarkable free of affectation , a tendency that has plagued him, post JWH. I especially like "Sign in the Window"; it has the sincerity an actual and momentary acceptance of where one happens to be in a certain part of life, and offers a new set of expectations.